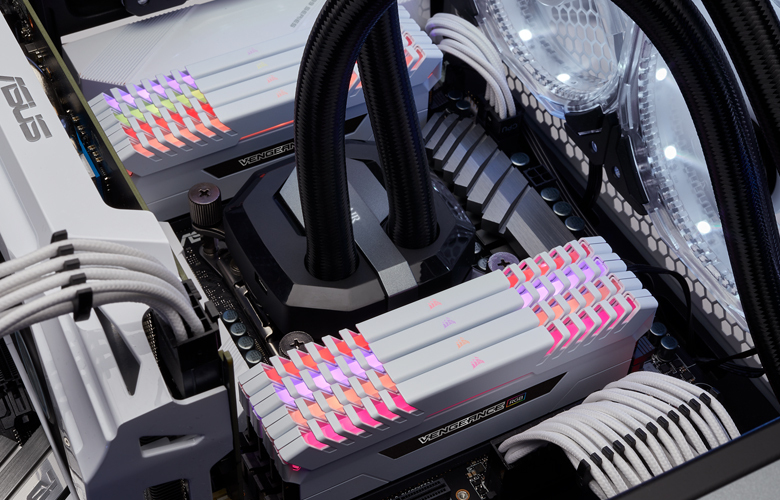 The arrival of the Corsair Vengeance RGB White RAM has just been announced. These new memories differ from the current model simply in the color of the heatsink, which will be white, designed for systems where white predominates. These memory kits will be available in a large number of working speeds and will fit any system as they are compatible with Intel and AMD processors. The white heatsink does the heat dissipation function from the memory chips, it is not only an aesthetic complement. RGB LED lighting has been designed with the intention of being highly personalized and with the white heatsink, this lighting stands out even more. The memory kits are, of course, only compatible with DDR4 DIMM socket and offer XMP 2.0 support, something that guarantees that these memories work at the nominal frequencies. Corsair also guarantees that we can load different lightning profiles according to our needs and load them from one quick and easy way. 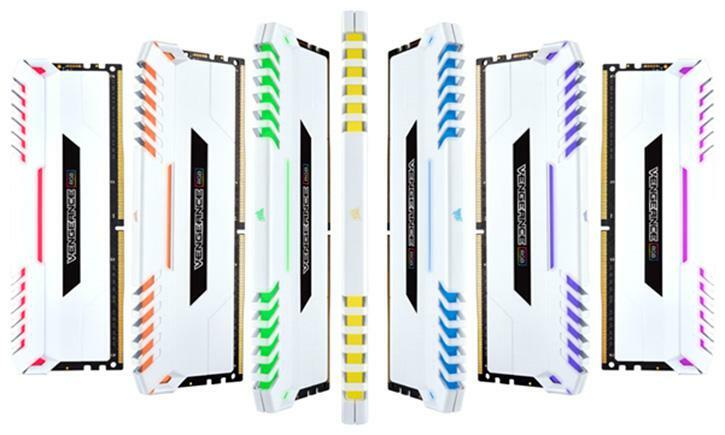 Corsair Vengeance RGB White DDR4 does not require extra cables as it connects to the PC via the DDR4 DIMM sockets and can be controlled via the Corsair Link software. These memories are also compatible with the Gigabyte RGB Fusion, MSI Mystic Light and Asus Aura Sync lighting control systems, which offers a wide range of customization and compatibility with leading motherboard manufacturers. No data have been given on the price, but availability will be immediate worldwide and has a lifetime warranty.